A fundamental work in the history of architecture, in a 2 volume facsimile edition. 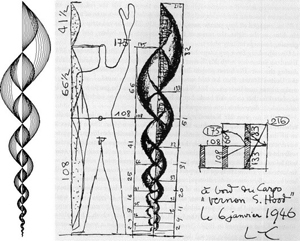 In the years 1942 to 1948, Le Corbusier developed a system of measurements which became known as "Modulor." Based on the Golden Section and Fibonacci numbers and also using the physical dimensions of the average human, Modulor is a sequence of measurements which Le Corbusier used to achieve harmony in his architectural compositions. 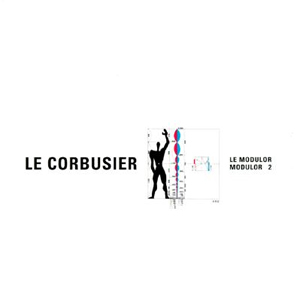 Le Modulor was published in 1950 and after meeting with success, Le Corbusier went on to publish Modulor 2 in 1955. In many of Le Corbusier's most notable buildings, including the Chapel at Ronchamp and the Unite d'habitation, evidence of his Modulor system can be seen. These two volumes form an important and integral part of Le Corbusier's theoretical writings.